A New York City police officer was fatally shot during a gunfight with a suspect in East Harlem Tuesday night. 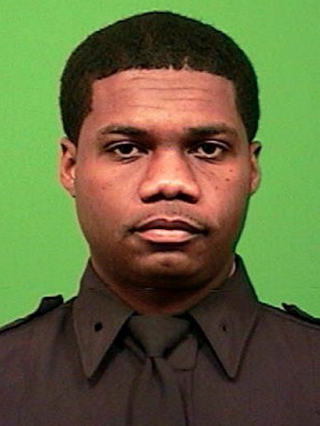 According to CNN, the officer, Randolph Holder, 33, was pursuing a suspect believed to be involved in a bike theft. Holder and other officers chased the suspect along a pedestrian overpass when the suspect opened fire. During the exchange, Holder was shot in the head around 8:30 p.m. Holder was rushed to a local hospital in critical condition and died at 10:22 p.m., the New York Daily News reports. CNN reports that the suspect was captured blocks away from the shooting and taken to a hospital for treatment for a gunshot wound to his leg. Holder was a third-generation police officer from Guyana who had an exemplary record, New York City Police Commissioner Bill Bratton said during a press conference. He had joined the NYPD in July 2010. "I think all of us will tell you this is the hardest thing that we do," Bratton said. "That we mourn one of our own. I’ve been doing this for 45 years. It doesn't get easier. It never gets easier and it should never get easier." Read more at CNN and the New York Daily News.